Princess Academy by Shannon Hale was published in 2005 and won the Newbery Honor the following year. Had Disney already co-opted the concept of "princess" for the evil marketing schemes back then? I'm don't remember and I keep meaning to read all of Peggy Orenstein's nonfiction book for adults, Cinderella Ate My Daughter so I can get my fact straight, but I suspect that Disney did enough damage to the word that many girls who might read and thoroughly enjoy Princess Academy the way I did, avoid it. I hope I'm wrong, though, and that the well deserved Newbery Medal convinces readers to pick it up. 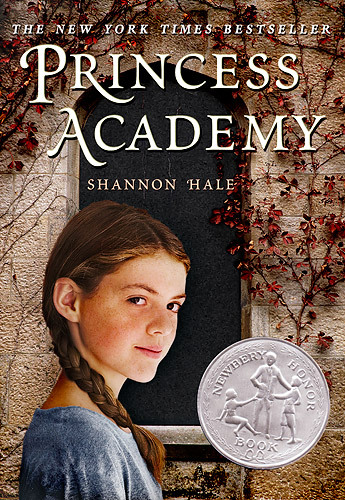 I almost wished that Princess Academy had a different title so that it might not lose readers, but, having read the book this is the best title possible! Princess Academy is as artfully and skillfully crafted as the blocks of Linder that the villagers perched on the side of Mount Eskel lovingly extract from the mountain every day. It is their one crop and, through visits with traders from the lowlands of Danland, they are able to eke out a monastic living trading stone for staples. At the beginning of Princess Academy on the day that the traders are expected, a regent from the court arrives with this message, "This past summer, the priests of the creator god took council on the birthday of the prince. They read the omens and divined the home of his future bride. All signs indicated Mount Eskel." With this news comes the establishment of the Princess Academy, set up in in the old stone minister's house some three hours walk down the mountain from the village, nestled in a mountain pass that is impassable from winter through spring due to snow. The Princess Academy will house the nineteen eligible village girls and Britta, an outcast orphan from the lowlands who has come to live with distant cousins, where they will learn reading, writing, etiquette and the history of Danland. The girls will be taught by Mistress Olana, a court tutor. At the end of the year, the prince will visit and choose his bride, taking her back with him to the capital for a grand wedding. I realize that this description above doesn't do much to make you think that Princess Academy might be anything more than a Cinderella story, but it IS so much more. With Miri, the main character, Hale has created a brave, smart heroine who does not shy away from hard work and who has a convincing Achille's Heel. Fourteen-year-old Miri's mother died a week after she was born, but she held her in her arms that whole time and this knowledge is Miri's greatest possession. Miri is small for her age, an oddity in a village of people who are massive and strong and perfectly built for the work that is their livelihood. Miri's father keeps her out of the quarry, where most village children start working at the age of eight. This is the greatest humiliation to Miri, who just wants to be of use to her family and her village and she is hobbled by this belief that she is useless and unvalued. Miri believes that her father keeps her away from the quarry because he doesn't love her, making her situation even more painful. When she realizes that there is no way to avoid attending the Princess Academy, Miri sadly leaves her father and older sister Marda, the village that she loves and the chance to prove her worth. She walks down the mountain, hand in hand with the other girls, as is the custom since the steep paths and rocky remnants of the quarry are so dangerous, and ultimately discovers her worth in the face of adversity and danger. 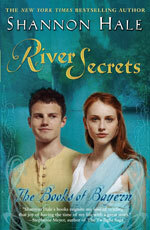 Once at the Princess Academy, Miri is infuriated by the cruel and prejudiced treatment of Tutor Olana. She continually insults the girls and refers to their uneducated ways, unfairly punishing the girls. Miri finds herself in trouble when she tries to help a younger girl catch up on a lesson she missed while locked in the closet for not knowing an answer. Olana catches them talking when there should be silence and punishes Miri with a lashing on her palms then revokes the girls' promised weekend at home with their families. The girls hate Miri already and hate her even more when the next home visit is cancelled because the first snow of winter has arrived. The girls will not see their families again until spring. Miri takes this situation and her ostracization as an incentive to study furiously and prove to Tutor Olana that Mount Eskel girls are every bit as smart as lowlander girls and to befriend Britta, who proves to be a great treasure. Miri also beings to teach herself "quarry-speech," a sort of mental telepathy that the villagers developed long ago to communicate amidst the fierce noise of the quarry. Quarry-speech seems to be linked to two things - the beautiful Linder stone that is extracted from the mountain and the work songs that all the villagers know from the moment they can speak and sing all day long while at work. Hale includes passages from these songs at the start of each chapter and also incorporates them into the story. The songs tell tales, but more importantly them impart wisdom in the form of metaphors and aphorisms, some of the best of which are coined by Doder, the mother of Peder, Miri's childhood love. Doder is as wise as she is strong and huge, and one of my favorite characters in the book. 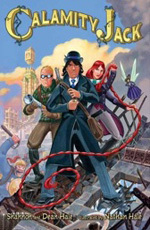 Without giving a major plot point away, I can tell you that it is Miri's knowledge and all that she learned at the Princess Academy as well as the quarry-speak that she teaches herself, that saves her and the girls from a desperate situation and also brings about a happy resolution to a very difficult social situation. 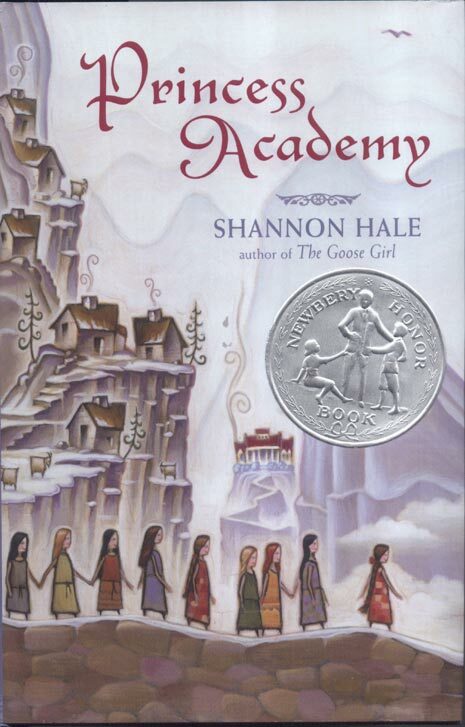 I absolutely loved Princess Academy, and, like so many great books, I wish I had read it right when it came out so I would have had a seven-year jump on telling people how great it is. Happily, my review does coincide with the publication of the sequel to Princess Academy, Palace of Stone, which is still new in hardcover but should be out in paperback this summer! Although Miri is fourteen when Princess Academy begins, I think this book is appropriate for a high reading eight-year-old who is not sensitive to a small amount of cruelty near the end of the book. However, no one is hurt. 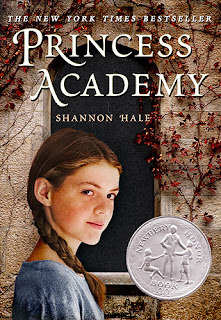 Princess Academy is on par with a well-written retelling of a fairy tale by the Brothers Grimm, meaning that life will be harsh and characters will be treated unfairly and cruelly and maybe roughed up a bit. 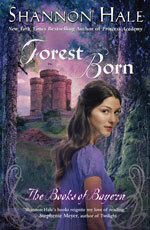 For readers twelve and up who enjoy Princess Academy, consider Hale's Books of Bayern series, below. The Books of Bayern series are not related to The Princess Academy and are considered YA books because of the age and social situations of the characters. 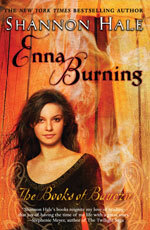 For thorough, great reviews of the first three books in the series, visit The Book Smugglers. 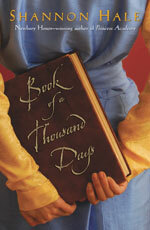 Book of a Thousand Days is based on a little known fairy tale by the Brothers Grimm and reset in a land inspired by the Asian steppes. Shannon and Dean Hale's superb graphic novels, illustrated by Nathan Hale, author of the brilliant historical graphic novels, Nathan Hale's Hazardous Tales. 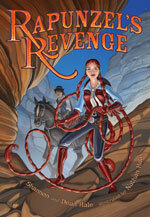 You can read my review of Rapunzel's Revenge here. 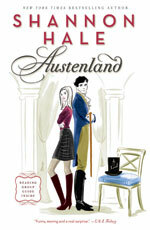 I read Austenland when it came out and it was a light, enjoyable read. In an interesting side note, Austenland, the movie is debuting at Sundance Festival this year. Interesting because Hale's good friend and fellow Mormon, Stephenie Meyer of Twilight fame, produced the movie! LOVE this book. 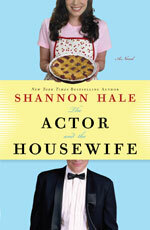 It is so well written, fun, exciting, sweet and just plain great. Never mind the title(s), these covers (the non-illustrated ones) really couldn't be any worse. I know it shouldn't matter, but my daughters will only go near enough to them to make fun of the covers. I may have to try them as a read-aloud just to get them to give it a go. Honestly, I really don't blame them at all. The covers are the worst. Maybe if you disguise the book and start reading it out loud they will be won over - if they would let you get away without revealing the title of the story. It would be great bedtime reading and I think your little guy would even enjoy it! Too bad, eh? I mean, it's fun to be surprised when you really like a book with a terrible cover...but you just know it will be an uphill battle for it to get any recognition. 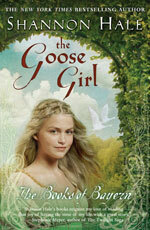 I asked our library to order this one, and we'll give Goose Girl a try in the meantime. I couldn't get the girls to try Goose Girl, but ended up using a strategy of open mockery of the title and cover of Princess Academy to get them agree to let me read it to them. And we're so glad -- we're not quite done yet, but it's been a big hit for all of us, including my wife, who gave it the thumbs-up after tearing through it in an evening. Thanks yet again! Curious to hear what you think of Palace of Stone. I am shocked to hear that open mockery is a parenting strategy you employ!!! But, seriously... I think badgering of one kind or another can be warranted in certain literary situations. Glad it worked out happily! I'll have to add PALACE OF STONE to my booklist. I rarely have time for sequels, but I think this one would be worth it.